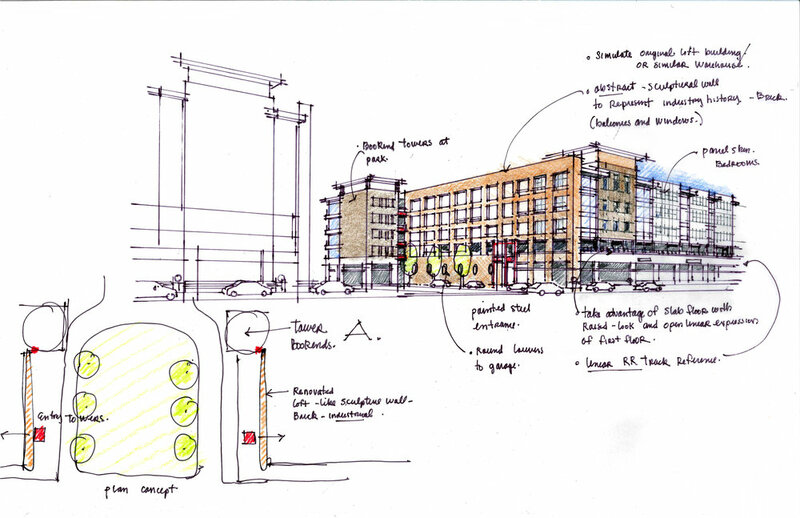 Construction is underway for the first phase of a 10.5 acre transit – oriented redevelopment adjacent to the Harrison PATH station. 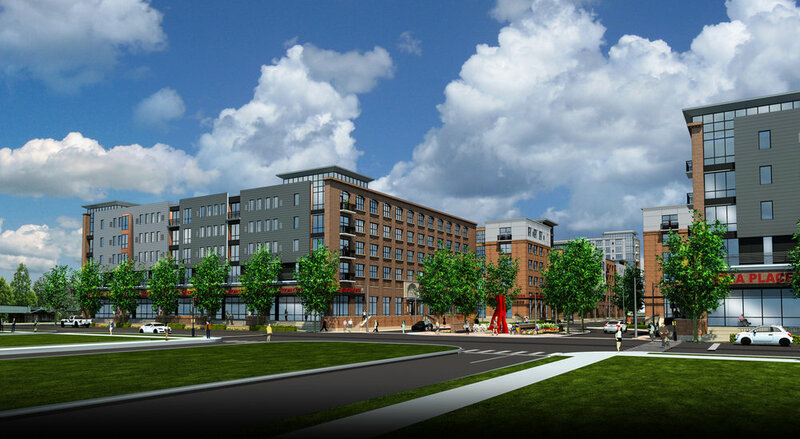 Developed by Heller Urban Renewal LLC., the project, when completed, will house 640 rental apartments and approx. 17,000 s.f. of street front retail space. Designed by NK Architects, the buildings and streetscapes were designed to evoke a sense of history and place specific to the past industrial use of the site. Replicated traditional brick loft architecture is complimented with modern fiber and metal panels to provide a unique aesthetic balancing the past and the future. Painted exposed steel awnings and balconies complete the design at the street and sidewalk edge. This new neighborhood , on a former brownfield site, will consist of four 5 story wood frame buildings and one 11 story poured in place concrete tower. An open urban green space at the center of the development will provide the residents with an inviting plaza as well as giving Harrison a public pocket park amenity on Frankie Rogers Boulevard. Occupancy of the first two buildings is scheduled for the fall of 2018.